German psychedelic folk from the early 70s – a pretty far reaching mix of sweet, often wordless vocals, long and free flowing instrumental washes of sound, and even some offbeat, humorous lyricism! 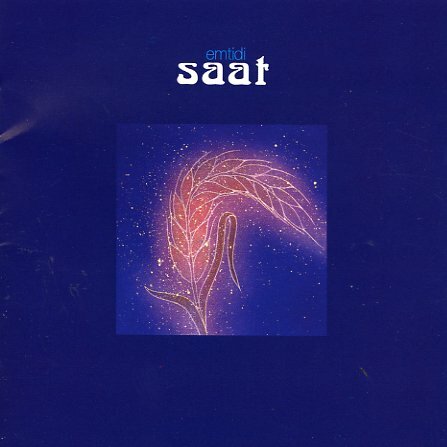 When there are words, they're sometimes in English and at others in German, with male and female voices – but Saat is really all about the textural mood. It's not easty stuff to pin down, sometimes with a lilting folky feel, others with echoey electronics that move it a little bit more towards Tangerine Dream-like astral planes. Titles include "Walking In The Park", "Traume", "Touch The Sun", "Love Time Rain", "Saat" and Die Reise". © 1996-2019, Dusty Groove, Inc.